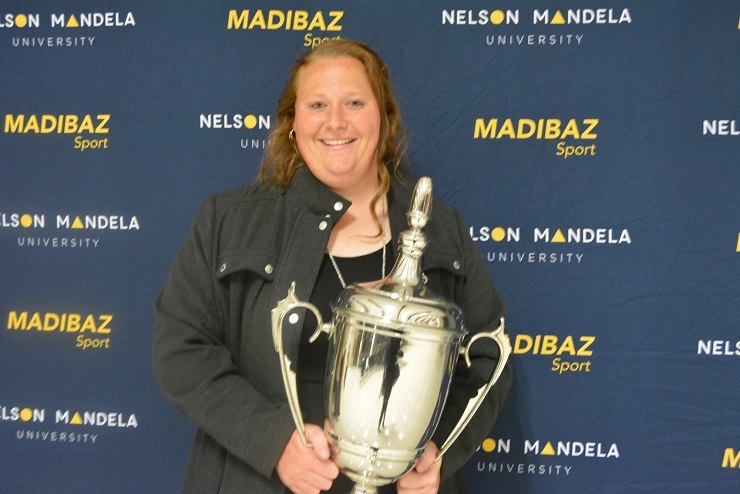 South African shot put and discus star Ischke Senekal received a top award when she was chosen as Sportswoman of the Year at the Madibaz Sport awards in Port Elizabeth last week. Senekal, from the Bestmed Madibaz Athletics Club at Nelson Mandela University, has won national colours at the IAAF World Cup in London and claimed gold for shot put and bronze for discus at the African Senior Championships. “The award means a lot to me as I’ve worked hard to reach the heights I set for myself. It also showed me that my goals made me win that title,” said the 25-year-old education honours student. Her goals for next year include becoming SA champion for the fifth year, competing in a world cup and taking part in a European season. She attributed her success to her family, coach and supporters. To continue competing at the top level she believes it will take hard practice and that she’ll need help from sponsors.